Again, I was trying my best to keep the joyful tears from trickling down my cheeks. Romantic Wedding March by Miranda Wong was playing and we were expecting it to fade out by this time. It continued to play, approached a part in the song that sounded like the end and then continued a little longer. We couldn’t help but laugh at this point and in retrospect I’m thankful for the opportunity to compose myself before proceeding with the ceremony! For my dress framing, I worked with a great professional at a local framing shop who came up with this version of my dress; I absolutely love it! I think it’s beautiful on the wall, my favorite piece of ‘art’ and worth every penny. I had mine done at a shop in Ohio called The Framing Center, but if you love the idea call around to places near you, ask questions and do some research! I was referred to The Framing Center by the owner of the dry cleaning business that cleaned my dress. It was the first wedding dress they framed so if you find a reputable framing center don’t be too afraid if it’s their first dress framing, just be involved and approve everything before the actual framing. I would have never thought of this, great idea, will definitely be looking into this, thank you! What about it turning yellow?? Will it stay white?? Hi Kelsey! I’m happy to say the dress will stay white and the key to that is framing it in an acid free environment and using high quality glass to protect it from light. My mat background is acid free, straight pins/stitching were used to assemble the dress and the museum glass is UV protected. what is the dimensions of the framed dress? It is beautiful! I love this idea and your dress is beautiful! I got married yesterday and I really want to do this with my dress. When you say, “This version of my dress,” do you mean that it’s not your actual dress in the frame? Did you alter your dress at all before framing it? I had a really long train so that might make it difficult. Thank you for the compliment and congratulations!! 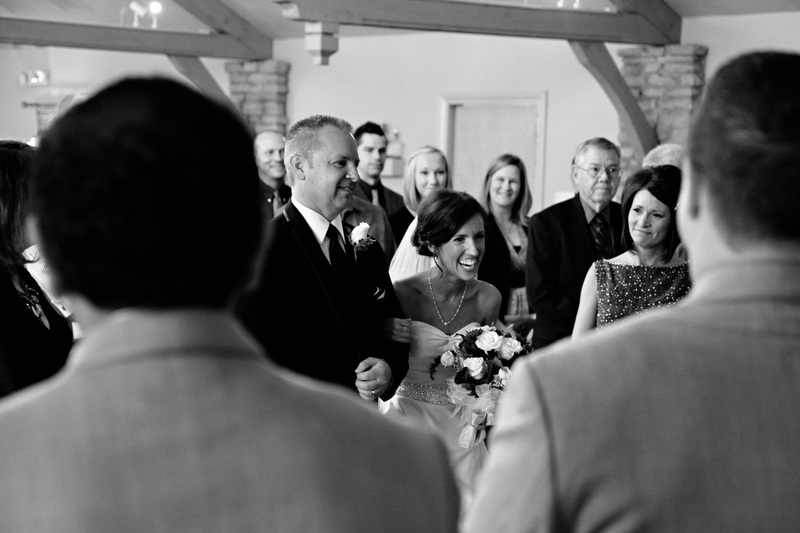 Being married is wonderful and I wish you and your new husband many years of wedded bliss! 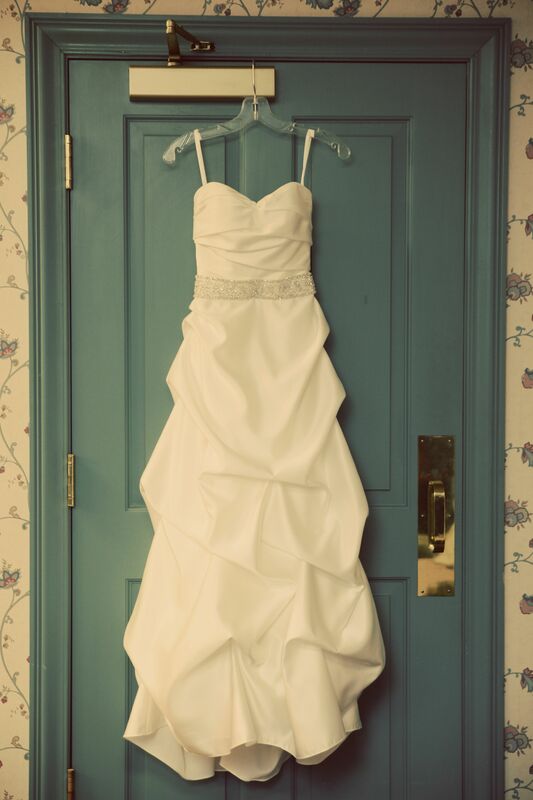 The dress in the frame is the dress I wore on our wedding day; perhaps I should do some re-phrasing in my post! 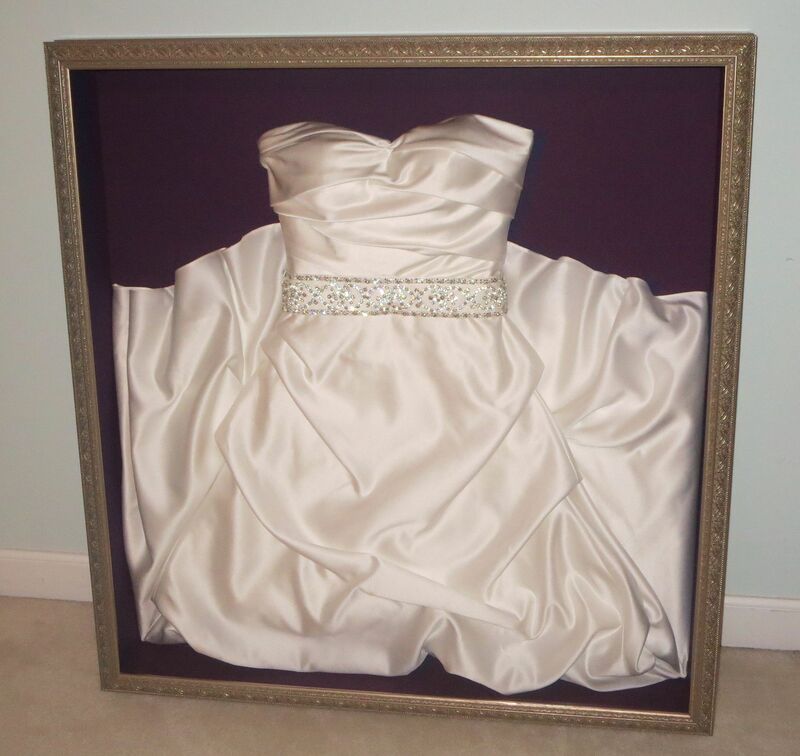 By ‘this version’ I just meant the framing option and how we decided to display the dress. One alteration we did make before framing it was taking out two layers under the dress that simply gave it more volume and would have required a deeper frame to fit. Hope that helps! Love how that looks. Absolutely beautiful! That’s what I want to do to mine. How thick/ deep is your shadow box? Thank you very much, Christina! My Shadow Box is about 10 inches thick; the size of the frame will all depend on your dress and how you decide to display it! I would love to see how yours turns out! Happy New year! Hi! Would you mind sharing more specific measurements? I live in the UK and the frames I am looking at are measured in mm. Your dress is stunning and so is your frame. I am so desperate to do this and display my own dress in our home! Thank you! The frame is 30 by 30 in. which I believe converts to 762 mm. The frame size will really depend on the dress though to ensure it’s big enough and deep enough! A frame shop should be able to help you if you take your dress in. Good luck!! Hi! I have had this pinned to my pinterest board for a year now. I just got married in October & finally talked my hubby into tackling this project with me. We have just completed building the shadow box, but now we are stuck with what backing board to use. Do you remember any specifics for your board? I’m definitely going to make sure it is acid free but I know there is more to it than that. 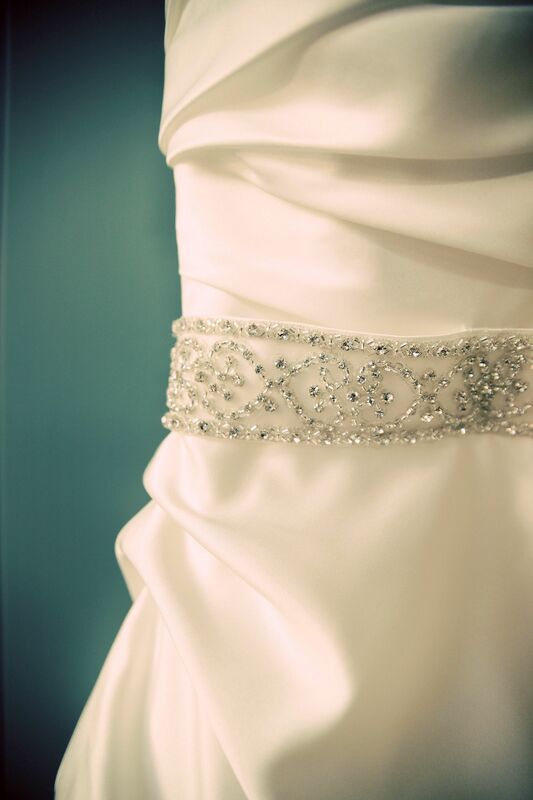 How did you make sure it was strong enough to support your dress being stitched to it? Also, how did you stitch your dress to it? I want my dress positioned in my shadow box just likes yours. Please give me all the details!! Please!! !